Solar PV (Photovoltaic) module-level monitoring is an innovative approach for owners and O&M companies to improve financial performance and reduce risk in managing solar power systems. The accuracy and insight from this new solution, along with the aids of intelligent cloud-based data analysis and diagnostics, bring more opportunities to detect hidden problems, increase solar energy yields and improve O&M efficiency. The Performance Ratio (PR) of PV plants has increased a lot today when compared to 35 years ago. However, as the source of energy production, solar panels lose performance over time due to variable factors, for example, trees casting shadows on the PV modules, or birds throwing rocks and causing broken PV panels. Others may include burned diodes, PID, string shorting, soiling and more. All these could deteriorate the performance of a PV panel. Since all the PV modules in a string are connected in series, if one module fails, the power generation efficiency of an entire string can be affected. It is estimated that 0.6% of PV modules stop working properly in a year, the compounding effects of the faults would actually lose more in a plant basis. If faults aren't be solved immediately, they would continue causing losses in the remaining time. Although there are inverter-level monitoring and routine inspections by O&M staffs, hidden problems may easily go undetected. Especially on large plants, accurately identifying the root causes of underperformance is time-consuming and requires high labor cost. Therefore, for O&M activities, the challenge is how to find panel faults precisely and quickly? 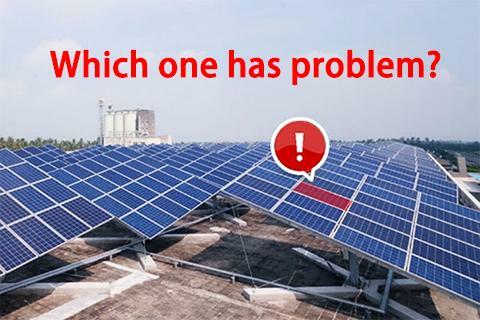 Solar O&M challenge: find panels faults precisely and quickly? NxSensor monitors the performance of each individual solar panel with great precision. The resulting data enables intelligent cloud software to identify panel faults, triggers an alarms, diagnose root causes and recommend O&M activities. By continuous measurement and verification, faults or underperformance are detected and diagnosed at an early stage. It significantly reduces risks. By comparison, inverters only monitor the solar power system at string level. Due to its low monitoring accuracy, it is impossible for inverters to help O&M team confirm the panel faults or suggest a predictive maintenance action. The sensor unit can be integrated into the junction box of a solar panel, or it can be mounted on a solar panel with a add-on/retrofit box. The sensor unit continuously measures the voltage of the panel's output and the temperature of the junction box, offering insight into module-level performance. The gateway collects data from sensor units and transmits data to the cloud-based database. The gateway and the sensor units form a mesh network - HOHWave™, which is a wireless technology enabling low-cost and extensible network for module-level data communication. With HOHWave™, a gateway can typically access more than 500 sensor units. The cloud platform analyzes the data in machine learning algorithms, based on which to indicate the performance variations among solar panels and find the potential faults. It also provides the data interfaces for 3rd-party O&M companies to integrate data or further analyze data. Users could access the data from web-based devices like mobile phones and PCs. 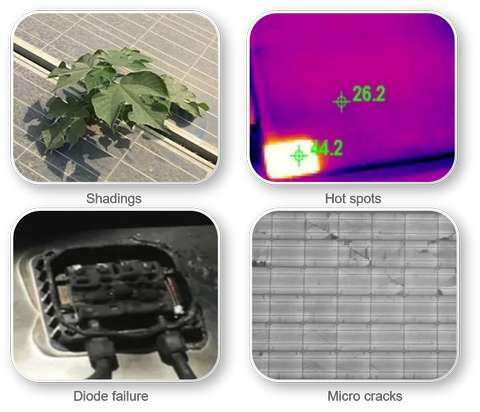 For installations, modules can be setup incorrectly and plugs forgotten, the NxSensor monitoring system provides extensive and detailed analysis of a PV plant's installation, avoiding off-line tests to troubleshoot problems or to check module consensus issues, enforcing a better quality of PV plant installations. 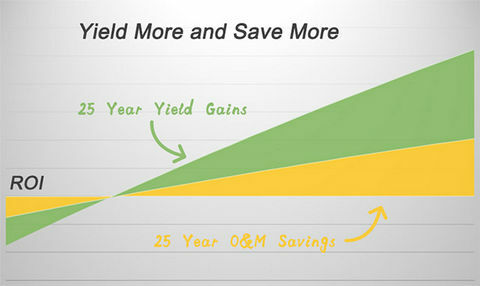 For plant owners and operators, defective modules or unsolved issues may have been existing for years, the NxSensor monitoring system detects hidden faults that lead to power losses or low efficiency, enables the taking of immediate O&M actions, thus avoiding revenue losses and increasing yields. For maintenance, O&M teams are able to find failed modules with great certainty. They can determine the appropriate remedy before sending out a crew. It is even possible to prevent major problems before they take system down. Such integration will lead to the development of smart O&M strategies.